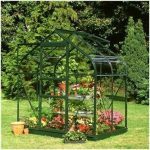 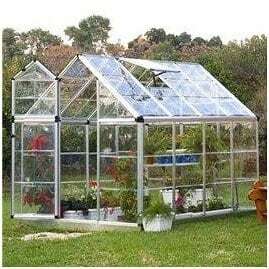 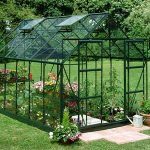 This is a superb mid-size greenhouse which is designed to offer a larger growing area for enthusiastic gardeners. 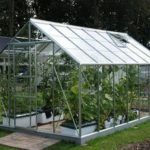 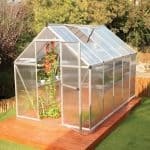 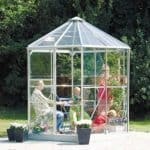 The frame is silver trimmed aluminium with polycarbonate safety glazing and this is an extremely affordable greenhouse, perfect for first time gardeners as well as established. 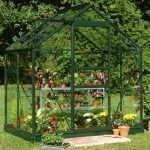 Comprising of quality materials throughout and designed to cultivate plants, vegetables and flowers throughout the year you can’t fail to be delighted with this purchase.